I got up as usual, prayed, and wished to bathe, but hot water was not ready, so I came out and sat talking. I saluted Sai Maharaj as he went out and then had my bath. I read panchadashi. Later on I went to see Sai Maharaj at the Musjid and returned after Arti. About 4p.m. I went with Balvant, Bhishma, and Bandu who grought my Hukka and Sai Maharaj had a smoke out of it. Madhavrao asked for permission for me to return to Amravati but Sai Maharaj said that he would decide about it tomorrow morning. He got all the people there out of the Musjid and advised me very very kindly in a truly fatherly way. At sunset we went again and saw him opposite the Chawadi and later on attended the Sej Aarti. Then Bhishma had his Panchapadi earlier than usual. Bhai also sang a Bhajan. Wishing to go away I got up early attended the Kakad Aarti, and praying somewhat in haste went to Sai Maharaj at the Musjid with Madhavrao Deshpande. Sai Maharaj said that I could go tomorrow or so and added that I should serve God alone and no one else. He said, "What God gives is never exhausted and what man gives never lasts". Then I returned and saw Durveshsaheb Falke of Kalyan arrives. He is a very nice gentleman of the old sort. Mr. Shingne and his wife are with him. Mr. Shingne is a high class Vakeel of Bombay and has a law class also. I attended the midday Puja and had my breakfast with Bapusaheb Jog. After it I lay down and fell asleep. I went to the Musjid a little late and then made my Namaskar near Chawadi. Then I sat talking with Durveshasaheb and Shingne. Later on Bhishma had his daily Bhajan. In the morning after prayer I sat talking with Mr. Shingne and Durvesh Falke. He is also called Haji Sahib. He had traveled to Baghdad, Constantinople and Mecca and all places near about. His conversation is very pleasant and instructive Sai Maharaj likes him very much, sends him food and otherwise treats him with great consideration. I saw Sai Maharaj go out and again, at the masjid, on his return. He was in a very pleasant mood and we all enjoyed his conversation. After meal I lay down for a while and then sat listening to an account of Delhi read by my son Balwant. Then we went to the masjid, received the blessings of Sai Maharaj and later on went for Shej Aarti. I find I have got a severe cold. I could not get up in time for Kakad Aarti. I got up at 3 a.m. and then overslept myself. After prayer I sat talking with Durvesh Sahib Falke whom they call Haji Saheb and Hajrat indiscriminately. He is a Karmamargi as we should call him in Hinduism and has numerous anecdotes to tell. I saw Sai Maharaj go out and later on after he returned to the Masjid. He was in a very pleasant mood and sat talking and joking. After arti I return to our lodging and had food and lay down a while but could not sleep. From Amaravati they sent me, besides the Amrit Bazar patrika, two numbers of Bombay Advocate, so there was a good deal to read. There was also a telegram offering the case at Wardha. I declined it, as Sai Maharaj did not grant permission to return. About today's telegram the result was the same. Madhavrao Deshpande asked for permission for me, and Sai Maharaj said I might go the day after or a month hence. So the matter is settled. I saluted him as usual in front of the Chawadi and after Aarti in the Wada sat listening to Bhishma's bhajan. Among the new arrival today is Mr. Hate who has appeared for L.M. and S. he is a very nice man. His father was judge at Amreli and later on Devin's of Palitana. I think I knew his uncle. My throat is better than it was yesterday. After prayer I sat talking with Mr. Shingne, Wamanrao patil and Durvesh Sahib whose full name would appear to be Durvesh Haji Mohomad Saddik of Kalyan. I saw Sai Sahib go out and later went to the Musjid when he returned. He Sai I had filled my bucket was enjoying the cool breezes of the Nim tree and was enjoying myself while he was enduring all manner of trouble and had no sleep. He was in a very pleasant mood and many people came to worship. My wife also came. We returned after mid-day Arti and after meals sat talking with Haji Sahib, Bapusahib Jog and others. Towards evening we went to Musjid and sat near Sai Sahib but there was not much time as it was stood in front of the Chawadi and as usual saluted him there. Returning to our lodging I sat listening to Bhishma's Bhajan. In the morning I got up early, felt fresh, prayed and felt that I was better all round. Sai Maharaj went out while I was yet praying, so I could not see him. Later on I went to the Musjid and found him in a very pleasant mood. He said there was a rich man who had five sons and a daughter. These children effected a division of the family property. Four of the sons took their shares of moveable and immovable. The fifth son and the daughter could not take possession of their share: They wandered about hungry, came to Sai Baba. They had six carts laden with jewels. Robbers took away two of the six carts. The remaining four were kept under the Banyan tree. At this point Trimbakrao, whom Baba calls Maruti, interrupted and the story ran in a different channel. After the mid-day Aarti I returned to the lodging, had food, and sat talking with Durvesh Sahib. He is a very pleasant man. Wamanrao Patil went away today. Ram Maruti Boa came in the afternoon. He danced and jumped about a good deal during Bhajan. We saw Sai Maharaj in the evening and again at Shej-Aarti time. Ram Maruti Boa attended Bhishma's Bhajan and danced and jumped. Sai Baba this afternoon went out towards Nimgaon, visited Dengle, cut a tree and came back, many went after him with musical instruments and escorted him home. I did not go far. Radhakrishnabai came near our Wada to great Sai Saheb and I saw her for the first time without the big veil & c. & c.
I got up very early in the morning and went to Kakad Aarti. Towards the close of the Aarti I noticed Waman Rao there with surprise and learnt that he, on the way near Kopargaon, sent the driver of his cart to purchase guavas and the bullocks ran away. He wandered about, and had good deal of trouble. The story was very amazing. Sai Maharaj left Chawadi without any audible remark except that Allah is the lord of all. I returned to the lodging, prayed, and saw Sai Maharaj got out and again on hi return to Masjid. He was in a very pleased mood. Durvesh Sahib told me that Sai Baba saw him at night and granted his wish. I mentioned this to Sai Maharaj and he said nothing. I today shampooed the legs of Sai Maharaj. The softness of his limbs is wonderful. Our meal was somewhat late. After it I sat reading the papers received today. Towards evening I went to Musjid received Sai Baba's blessing, saluted him in front of Chawadi and returned to my lodging. We had Bhisma's Bhajan attended by Ram Maruti Baba and Ramayan read by Dixit. I got up as usual, prayed, and sat talking with Durvesh Saheb. He said he had a vision in which he saw three girls and a blind woman knock at his door. He asked them who they were and they replied that they had come to amuse themselves. Thereupon he ordered them out on pain of being kicked and began a prayer. The girls and the old woman ran away on hearing the words of the prayer. He then blessed all in the room and in the house and the whole village. He asked me at ask Sai Saheb. When I went to see the latter on his return to the Musjid and before I was fairly seated Sai Saheb commenced a story. He said he was beaten last night by something on his private parts and hands, that he applied oil, wandered about, had a stool, and then felt better near the fire. I shampooed his legs and on my return told the story to Durvesh Sahrb. The answer was clear. After the Midday Aarti I sat reading Bhavartha Ramayan and then later on saw Sai Saheb near the Chawadi, and later on again at Shej-Aarti at Chawadi. Then we had Bhishma's Bhajan and Ram Maruti's gesticulations. Later still, Mr. Dixit read Ramayana. I got up early in the morning to go to Kakad Arti, but in consequence of a remark made by Madhao Rao Deshpande, I thought of not going, but later on Madhao Rao himself went and I accompanied him. Sai Maharaj was particularly pleasant looking and went quietly to Musjid. We all saluted when he went out and again after he returned to Musjid. Shingne and Durvesh Saheb made an attempt to go today but Sai Maharaj did not give the necessary permission. Darvesh Saheb got ill and had fever, Dr. Hate treated him, I think I have mentioned before that there is one tipnis staying here with his wife. She is ill and Dr. Hate has been doing all he can for her. Ram Maruti Maharaj is also here for her. She had a fit in the evening but it turned out to be an obsession. Dixit, Madhao rao Deshapanade and others went to see her. She is possessed by the former owner of the house in which she lives and by two mahars. The owner declared that he would have killed her but that Sai Baba ordered him not to. The mahars are also kept away by Sai Baba. When Tipnis threatened to move his wife to this Wada the spirits prayed earnestly and asked him not to do so. The spirits said Sai Baba would beat them. There was Bhishma's Bahajan as usual and later on Ramayan by Dixit, a little before midnight. I got up early in the morning but fell asleep again and then got up very late. On coming down, I found that Shingne, his wife and Durvesh Saheb had obtained their permission to return to their homes. So they left, the former to Bombay and the latter to Kalyan. Durvesh Saheb is obviously very much advanced spiritually as Sai Maharaj came as far as the breach in the wall to see him off. I miss him very much as we used to have long talks. Mr. Mantri, Solicitor of Bombay, came yesterday with his family, four brothers and a number of children. He is a very nice man and we sat talking. Mr. Mahajani, whom I met last year, came today and brought very good fruit and globes of glass for Sai Baba's lamps. Mr. Goverdhandas of Bhayandar is also here. He brought very good fruit, silk curtains for Sai Maharaj's improved room in the Chawadi and new dresses for volunteers who carry the umbrella, chamars and fans. He is said to be a very rich man. There was a little meaningless disagreement between Madhao Rao Deshpande and my wife and my son about living in Dixit's Wada. 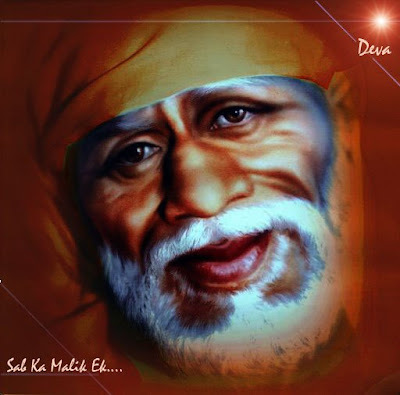 Sai Baba said that the Wada belonged the himself, and neither to Dixit not to Madhao Rao. So the matter settled itself. I could not see Sai Maharaj go out but paid my respects on his return to Musjid. He gave me fruit and smoke out of his chillim. In the afternoon I had a little sleep after meals and then sat reading the daily papers received today. Wamanrao patil has passed his L.L.B. I wish Dr. Hate had passed also; Sai Maharaj says he will get very good news. Tipnis has changed his lodgings and his wife is better. She is not so restless as she used to be. Ram Maruti Boa is still here. WE went to Shej-Aarti. The procession was very impressive and the new curtains and dresses looked very nice. I enjoyed it very much. What a pity I have it not in my power to make rich presents of the kind. God is great. At night Bhshma had his Bhajan and Dixit read Ramayana. In the morning I got up early and went to Kakadarti. On my return I prayed and walked about. Mr. Mantri got permission to return, so he went away with all his family after saying goodbye to nearly every one. He is a very good man. 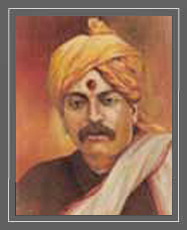 Wamanrao Patil also went. Then came a large number of visitors. Among them was a lady by name Anusayabai. She appeared to be spiritually advanced and Sai Maharaj treated her with great consideration and gave her four fruits. Later on he told the story of a man having five sons. Four of them demanded and obtained partition. Two of these four decided to re-unite with the father. The latter ordered the mother to poison one of these tows and she obeyed. The other fell from a tall tree, got injured and was on the point of death, but was allowed by the father to survice about twelve years until a son and daughter were born to him and then he died. Sai Baba said nothing about the 5th son and to me the story looks incomplete. After the midday meal I lay down for a while and then sat reading the Ramayana. In the evening we went as usual to salute the Sai Saheb opposite the Chawadi and at night had Bhishma's Bhajan and Dixit's Ramayana. Dr. Hate is still here and is a very nice man. Mr. Mahajani is also here. In the morning after prayer I saw Sayin Maharaj go out, & sat talking with Mr Mahajani & others. Many guests came &many more came, and things are wearing a rather busy appearance. Mr Govarthandas gave a dinner and invited nearly every one here who has come to see Sayin Maharaj. My son Balvant had a dream last night in which he thought he saw Sayin Maharaj & Mrs Bapusaheb Jog in our Elichpur house. He offered food to Sayin Baba. He told me about the dream & I thought it was a mere fancy, but today he called Balvant & said “I went to your house yesterday & you fed me but gave no Dakshina. You should give twenty-five Rupees now.” So Balvant returned to the lodgings and went with Madhavarao Deshpande and paid the Dakshina. At midday Arti, Sayin Maharaj gave me prasad of Peda, fruits, & made a distinct sign to me to make a bow. I at once prostrated myself. He had some confidential talk with Madhavarao Deshpande. The latter has promised to tell me all about it. Today the breakfast was very late, & was not over till 4 P.M. I had it with Govarthandas, or rather at the Mandap near our lodging spread at his expense. After it I felt very lazy & sat talking. We all saw Sayin Maharaj in the evening both before he came out as usual for his stroll & then again when he was taken in Bhajan procession to Chavadhi. Kondaji Fakir lost his daughter tonight. She was interred near our lodging. Bhishma had his Bhajan & Dixit read Ramayan. I got up early & attended the Kakad-Arti. Sayin Maharaj was in rather an unusual mood; took his stick & with it tapped the ground round about. By the time he descended the steps of the Chavadhi, he walked twice backward & forward & used violent language. In my return I prayed, bathed & sat in the verandah in front of my room. I saw Sayin Maharaj go out. The Injadars of Kalyan & Poona are here. I am afraid Mungi hunts with them. He is at any rate very familiar. Mungi whom I met here last year, came last night & tried to put up with me. I would not let him. He then put his coat in my room, but with the help of Rama Maruti, I told him to take it away & he did so. Mr Gokhale pleader of Poona came. He had seen my wife at Shegaon before when Ganpat Baba was working in the physical world. There was with him a seller of Indian toys & another. They saw me after the mid-day Arti & after I had taken my meals. I lay down for a while in the third quarter of the day and then sat talking with Mahajani, Dr Hate & others. We saw Sayin Maharaj in the afternoon at the Chavadhi & later on about dusk when he came out for his stroll. He was very gracious. Today he spoke with my son Balvant & got him to sit, even after he told every body else to clear out. He told him not to admit any guests in the evening & to take care of him & that in return he (Sayin Baba) would take care of him. Madhavarao Deshpande is ill. He has caught cold and is lying down a good if not actually confined to bed. In the evening there was Bhishmas’ Bhajan as usual & Dixits’ Ramayan afterwards. Mr Bhate was there to hear the Purana. We began the Sundar-Kand today. Page created in 0.274 seconds with 69 queries.